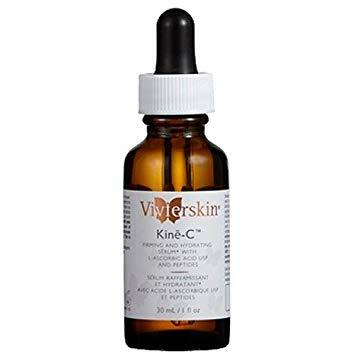 VivierSkin™ Kine-C™ Dual-Action Skin Firming Serum* with its unique enriched Vitamin-C IDS™ works as an advanced hydration program against the appearance of visible signs of aging. Vitamin C is a potent anti-oxidant that helps to neutralize and eliminate the detrimental effects of free radicals. 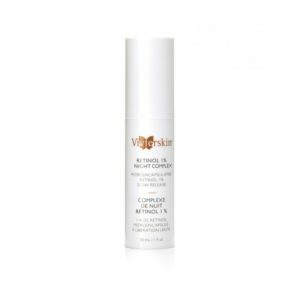 Vitamin C also stimulates collagen formation topically, adding elasticity and strength that will make your skin feel smooth by filling out fine lines. Working in combination with Vitamin C is Kinetin, a plant enzyme and one of Mother Nature’s most effective botanical growth factors. 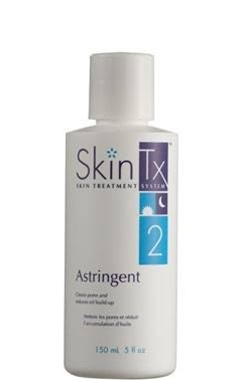 Kinetin is known to improve moisture retention while reducing the appearance of fine lines and smoothing skin texture with no irritation. As a result of this natural partnership, skin becomes softer, smoother and younger-looking. Within weeks, fine lines, wrinkles and age spots will diminish, giving your skin a more youthful look. For all skin types especially dry, sensitive skin and those with problems of dehydration. Not recommended for irritable skin.